Make a good impression by using shipping and mailing labels on your packages. Include your company's business information and contact details to make it easier for your customers to mail back, whether for more orders or additional inquiries. 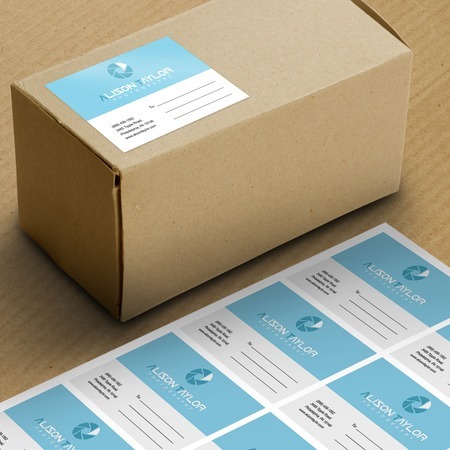 Cut-to-size mailing labels are individually-cut labels with a minimum print quantity of 25. These are printed on a 70 lb. sticker paper with a gloss, matte, or high gloss finish. Sizes range from 2” x 2” to 12” x 17.5” with the option to have rounded corners. Print turnaround is 2 or 4 business days. Roll mailing labels are designed specifically for applying in bulk since they’re placed in a roll. These can be applied easily by hand or with a dispenser. The shapes available are rectangle, square, round, and oval. They’re printed on a white premium sticker paper, BOPP (white, silver, or metallic), or textured paper (white vellum, white laid, or cream laid). Quantities ranges from 250 to 100,000 and can be ready for shipping in 2, 4 or 6 business days.